“Through my internship at Digital Multimedia Solutions, I learned how much the control room in general fits my personality because I am really organized and very particular about things, which would be reflective of the script. But I’m also very easygoing so I like the live production.” - Jillian Offerman, ‘20, Bentley University student. A Media and Culture major, Jillian Offermann is leading a team of Bentley students who will operate the Bentley Arena in-house media control room along with a small crew of production professionals. Thanks to her experience from the internship at Digital Multimedia Solutions (DMS)–operating headsets and video cameras and manipulating graphics at university arenas–Offermann has been a key player in planning for the new Bentley arena. 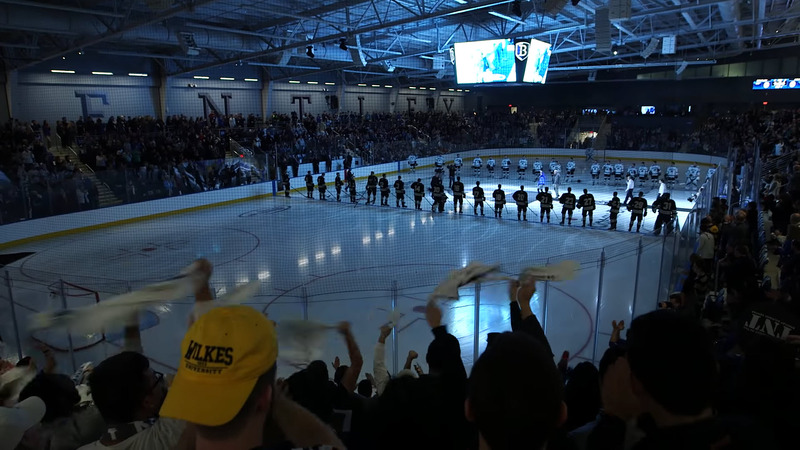 She worked with Arena Manager Bo Stewart and Michael Goldberg, Bentley lecturer in Information Design and Corporate Communication, to brainstorm graphics and produce an opening-day video related to the arena’s brand. She has also been a key player in building and training the student team, and will serve in a technical director role: directing camera angles and shots, slow motion replays, and the Jumbotron. 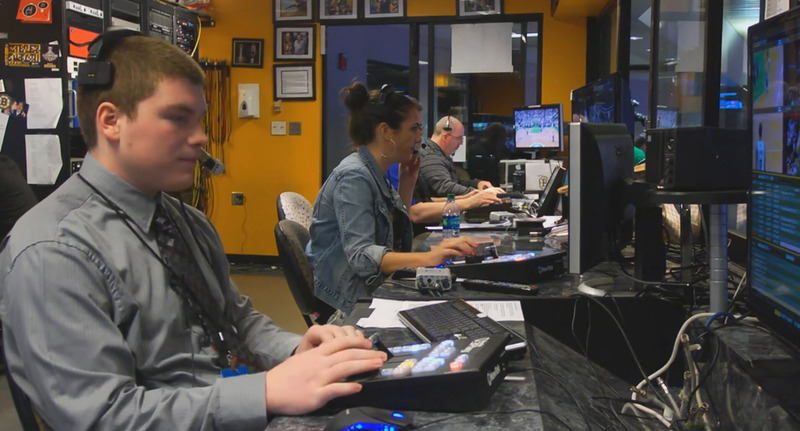 TD Garden’s control room suite uses both a TriCaster (the far operator) and 2 3Plays (the two nearest operators) to feed the in-venue video scoreboard and displays.